Patients referred to Pain Management programme are suffering with chronic pain. They need a different service to patients experiencing acute pain because there is a very important difference between acute pain and a chronic pain condition. Acute pain is a response to injury, disease or a response to hazardous things like extremes of temperature, sharps, electricity, chemicals or infection. Sometimes the result of such exposure is injury or illness; sometimes these stimuli simply provoke a reflex avoidance. Where people are injured and pain is caused, the pain goes away when healing has taken place. With most tissue injury this takes about three months. People know how bad something is going to hurt and for how long, based on their life experiences. Everyone experiences acute pain in their life sometimes, so we have ‘common sense’ responses to pain such as rubbing the site, resting or not moving the affected part. It is the nervous system that is responsible for us feeling pain. Peripheral nerves are activated and a signal travels along the nerves to the spinal cord and from there to the brain where the experience of pain takes place. The nervous system is very complex. The sensation of pain can be increased or reduced by automatic processes going on in the nervous system. The key thing with acute pain is that when the damage is healed, the pain goes away. In a chronic pain condition the nervous system operates in a different way. 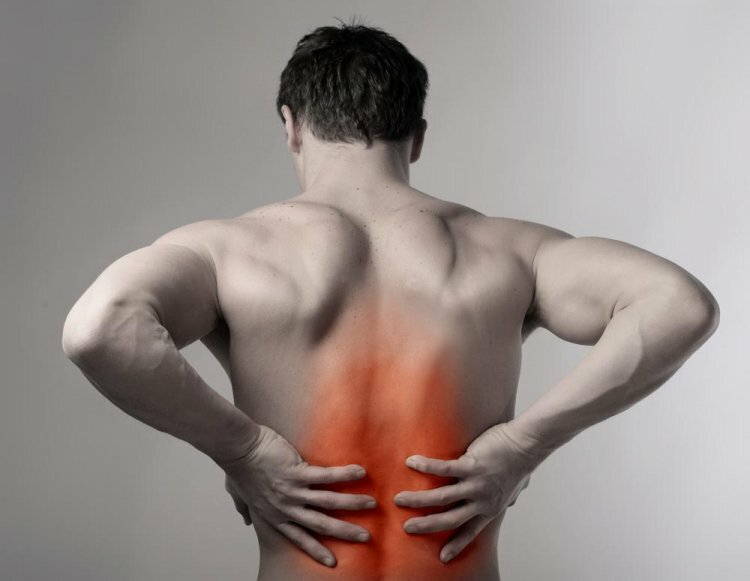 Chronic pain does not indicate that actual or potential tissue damage is occurring. There are changes in the way the nervous system operates and these are unlikely to change back completely to how things were before. A person may still be experiencing pain even though structural damage from trauma or disease has healed. A combination of physical and psychological trauma can trigger these changes, but sometimes chronic pain begins without an initial injury or illness. A person can experience persistent or even permanent pain, for which there may or may not be an identifiable cause. Sometimes things that were not felt as painful in the past, such as gentle touch or temperature changes, are now felt as painful. Sometimes things that caused minor pain in the past, now cause major pain. People with a chronic pain condition are living with real pain. The key thing with a chronic pain condition is that pain persists beyond healing. Some people with chronic pain experience a reduction in pain if medical interventions are successful. This does not always happen, but quality of life can improve whether or not pain reduces. Pain is a multi-layered experience and despite consensus on its nature generally, it is unique to the individual. Fordyce (in Dixon: Pain Vs Suffering, Peer Review, Vol 1, #3, 1998) describes the important distinction between pain and suffering, which for patients with chronic pain is crucial. In acute pain the experience of physical discomfort and the distressing sensations caused by the illness or injury is likely to be the largest part if not the whole of the experience. In chronic pain, even if it is not immediately obvious to the person living with it, it is the suffering that has the most significant impact on their lived experience. Dixon (1998) breaks the pain experience down in to harm, hurt and suffering. The harm being actual tissue injury, the hurt being the physical distress and the suffering being the impact on a person’s life. Suffering includes the emotions, thoughts and changes in behaviour in response to pain; how it really feels as it impacts on relationships, family life, employment, social life, activity levels, mood, sexual function and the world view of the person. This is the area where loss is experienced. For example a person might be worrying about having to give up driving, work, sport, leisure activities or travelling. This can mean that people experiencing chronic pain become vulnerable to depression, fear and anxiety. Understanding the whole pain experience is important for patients and staff alike. Discussion between the two will have more value as a result and they can better plan the care that is needed together. The purpose of Pain Management Programme (PMP) is to enable people to live a better quality of life with chronic pain. It is a rehabilitation programme rather than a treatment programme. Like nursing, it is goal directed and value based. The aim is that people referred to programme begin to ‘get their lives back’ in ways that matter to them. A bio-psycho-social approach is used. There is physiotherapy, psychology and nursing input. PMP begins with education and discussion. Patients learn about pain mechanisms, about their own bodies and the differences between chronic and acute pain. Patients engage in the process of acceptance; accepting that though it may not be possible to reduce the harm or the hurt, it is certainly possible to reduce the suffering. Patients are encouraged and assisted to set goals in line with their personal values. Patients are taught relaxation techniques, how to increase activity levels and improve range of movement and function. Assertiveness, Acceptance and Commitment Therapy and Mindfulness exercises are used to improve self-esteem, communication, self-awareness and the way a person relates to their pain. Sleep, pacing, flare-up of chronic pain, ergonomics, relationships, planning exercise, and methods for setting and achieving goals are covered. Patients think about the things that will improve their lives, they think about their skills and strengths, about what is most meaningful to them; and they build their plans around that. At three month follow up, once more in a group, the patients share their experiences post programme and discuss further plans.